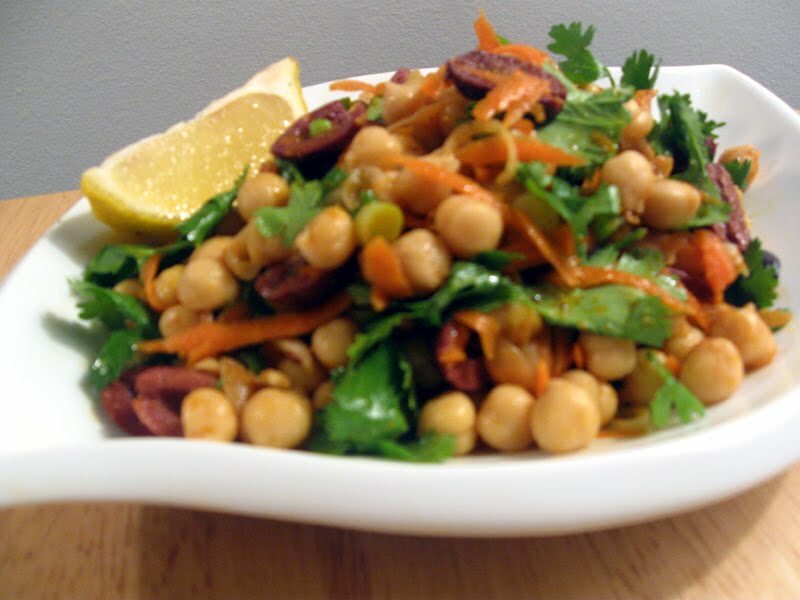 In a large bowl, combine the chickpeas, olives, carrots, cilantro and scallions. To make the vinaigrette, combine all the ingredients in a jar with a tight fitting lid and shake until emulsified. Drizzle the dressing over the salad and toss to coat.